How long has 100+ WWC been in the Southern Maine area? What happens to charities not selected at the meeting? When are supported charities able to be nominated again? 100+ Women Who Care Southern Maine is an organization founded in October 2014 by Deb Bergeron with the help and inspiration of other established chapters. 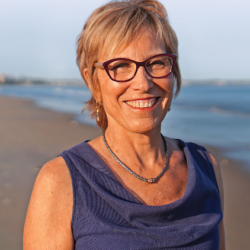 Deb is a certified personal and professional coach, and founder of Ocean of Possibilities. She is passionate about giving back to the community in which she grew up and raised her family, and volunteers for numerous organizations in the greater Portland area including Make-A-Wish of Maine and the executive council of ICFNE/Maine chapter of coaches. A 501(c)(3) is defined as “exemptions that apply to corporations, and any community chest, fund or foundation, organized and operated exclusively for religious, charitable, scientific, testing for public safety, literary, educational purposes, to foster national or international amateur sports competition, promote the arts, or for the prevention of cruelty to children or animals.” However, for the purposes of 100+ Women Who Care Southern Maine, all groups up for consideration must be local. Yes, your contribution is tax deductible if made payable to a 501(c)(3) organization. Checks are written directly to the local organization, NOT to 100+ Women Who Care. Please contact your tax advisor or visit the IRS Website for further information. A member who has signed the Commitment Form and completed a Charitable Organization Fact Sheet prior to the meeting can put the name of a local organization into the hat for a random drawing at the meeting. At random, three organizations will be selected from the hat. The members who wrote down each name will be asked to come up and give a short 5 minute presentation (please, no PowerPoint presentations or videos) as to why their chosen organization should receive the donation and then spend 5 minutes for Q & A. Presentations can include posters and flyers, but no computer/electronics equipment may be used. We encourage members to participate by submitting the names of local, needy, charitable organizations prior to each meeting! After the three presentations, all members present at the meeting and current in their contributions vote for the charity to be supported. You can send a blank, signed check with a trusted friend to the meeting. They will write in the name of the charity that is chosen and give it to the organizers on your behalf. They do not vote on your behalf. We can only count the votes of members who are present. After a meeting is over, members who were not able to attend can check the website or call Deb Bergeron to find out which charity was selected. You can then write your check and mail it to Deb and she will send it to the charity on your behalf. Only members who are current in their contributions are eligible to vote. We can only count the votes of members who are present. No, the goal of the 100+ Women Who Care organization is to make a large donation on behalf of the whole group. We want to be able to support this endeavor and give $5,000+ dollars at a time to make a large impact in our community, with each member’s donation being part of the larger donation. We also need to be able to track your donations so that you get credit for the donation and remain eligible for submitting charities and voting at meetings. Charities which present at a meeting, but are not selected, are eligible to be re-nominated again after one year. Charities which are chosen and receive donations from 100+ Women Who Care Southern Maine are eligible to be re-nominated again after three years.